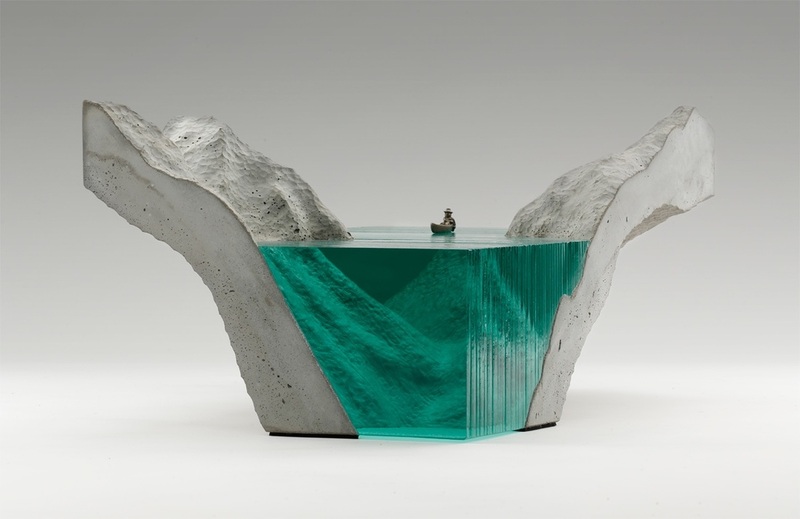 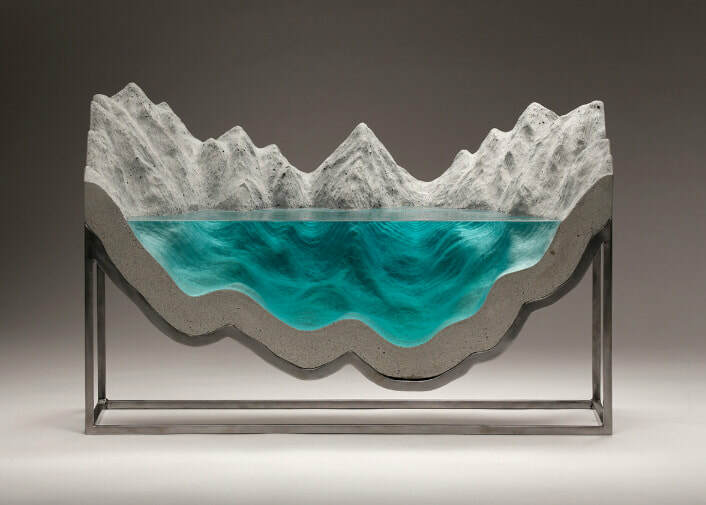 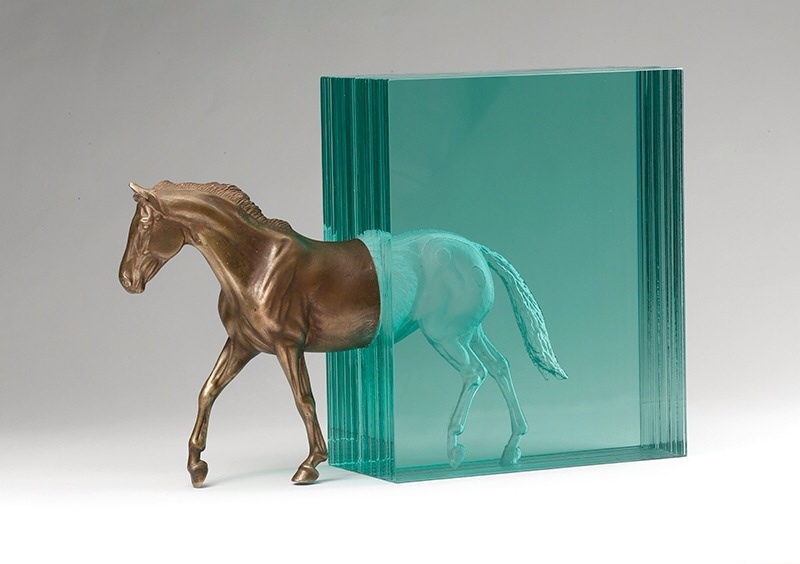 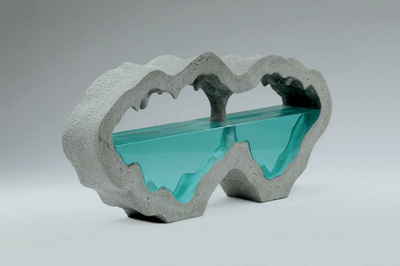 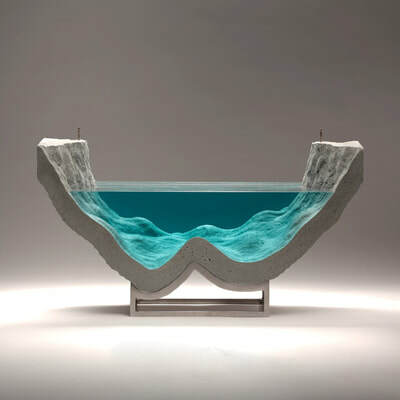 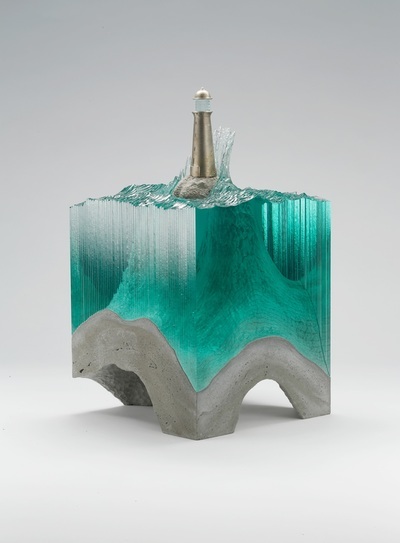 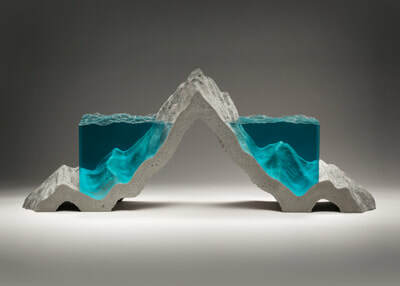 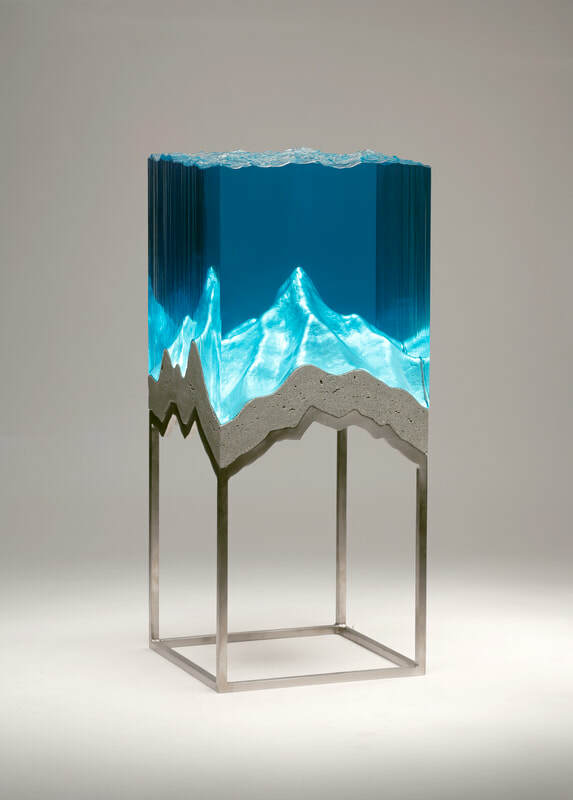 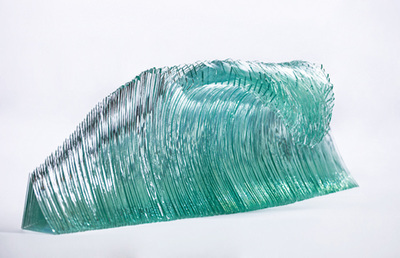 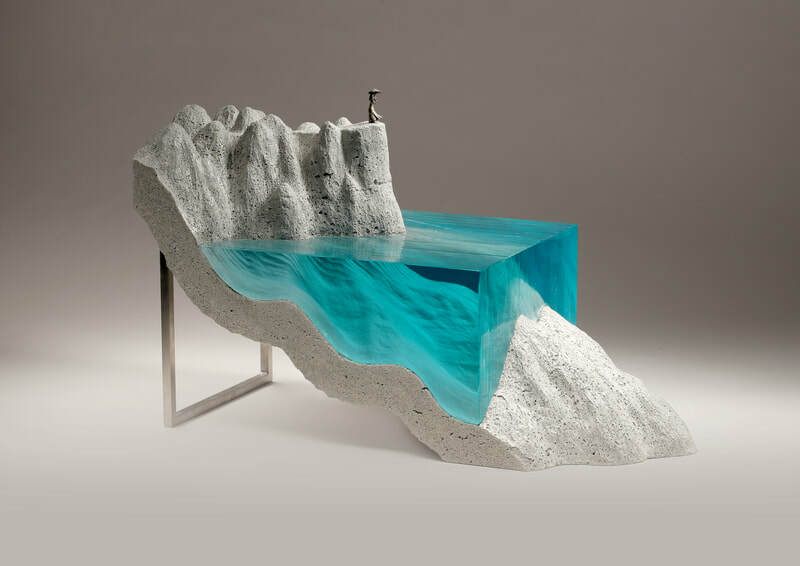 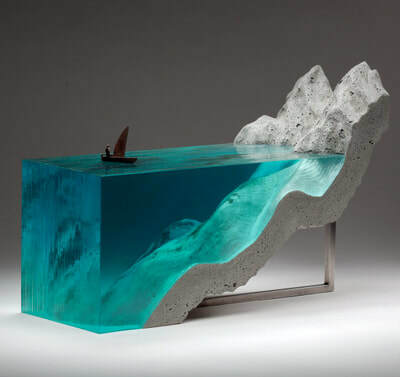 Residing in Mount Maunganui, New Zealand, Ben Young is a self-taught artist who has been making glass sculpture for over 15 years. 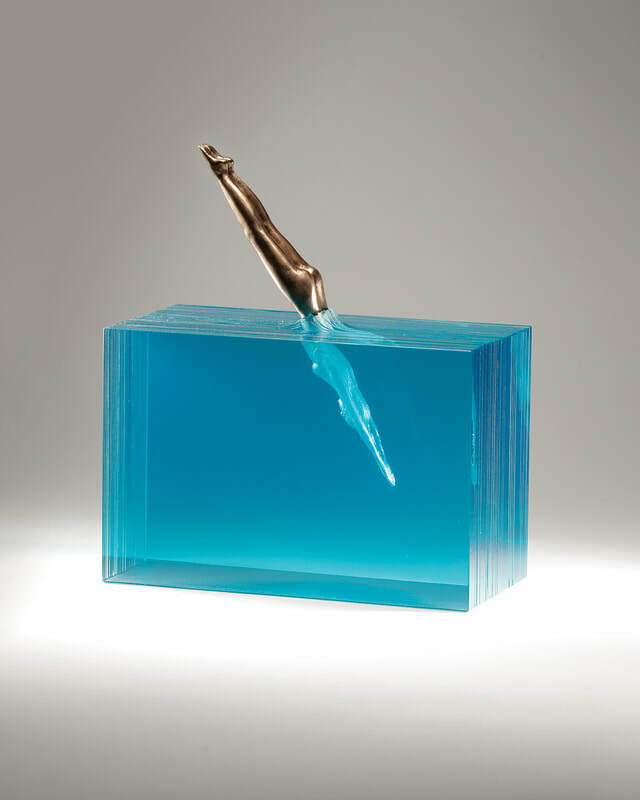 He has exhibited alongside well-known glass artists in New Zealand and internationally, with successful sell out solo shows in New York, Auckland and Singapore. 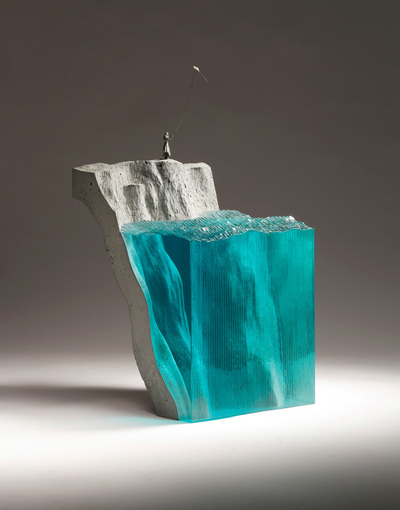 Each of Young’s sculptural works are hand crafted from clear sheet float glass, concrete, steel and bronze. 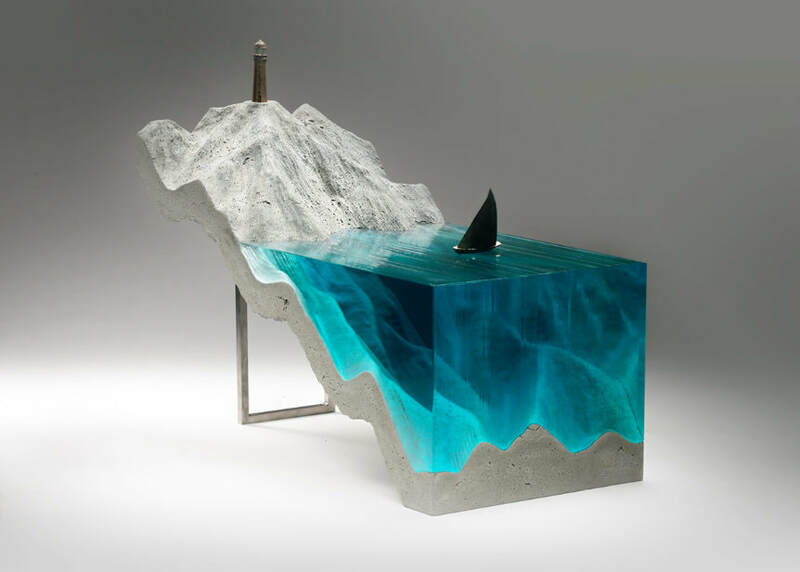 No computer aids or high-tech machinery is used in the making of his pieces. To create his work, Young begins by sketching out the concept by hand. The complexity comes from the planning phase, where he says ‘I do a lot of thinking before I even start to draw or cut’. 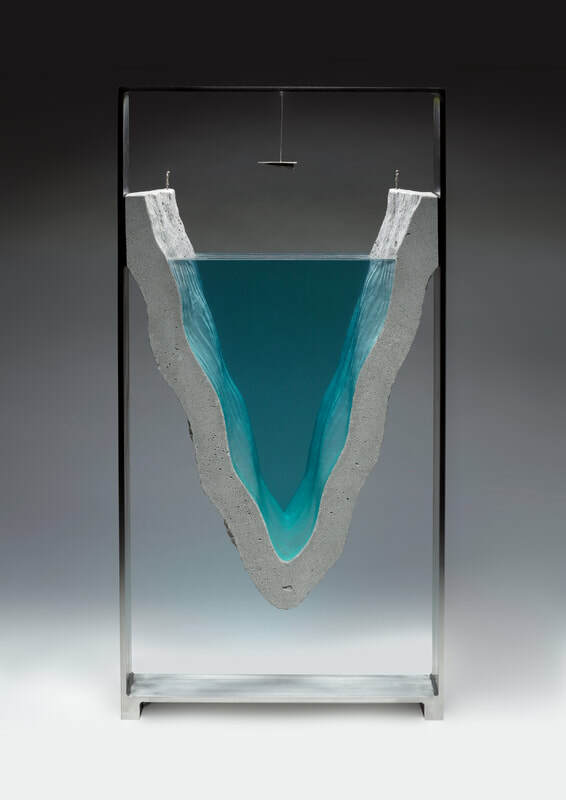 Once the form has been designed the artist then begins the multi-stage process of constructing models, making custom jigs, working with a glazier’s hand-tool and creating moulds for casting. 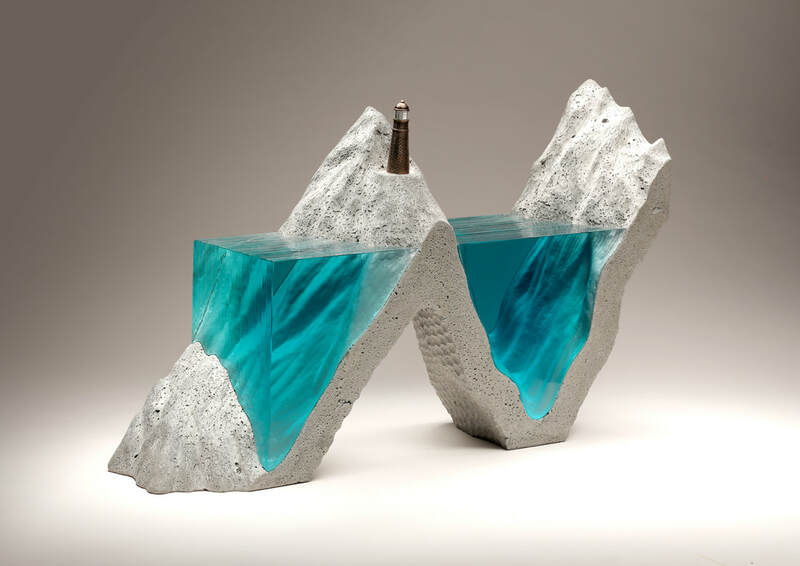 During the process the artist plays with the irony between the solid materials he uses and the organic subjects he creates. 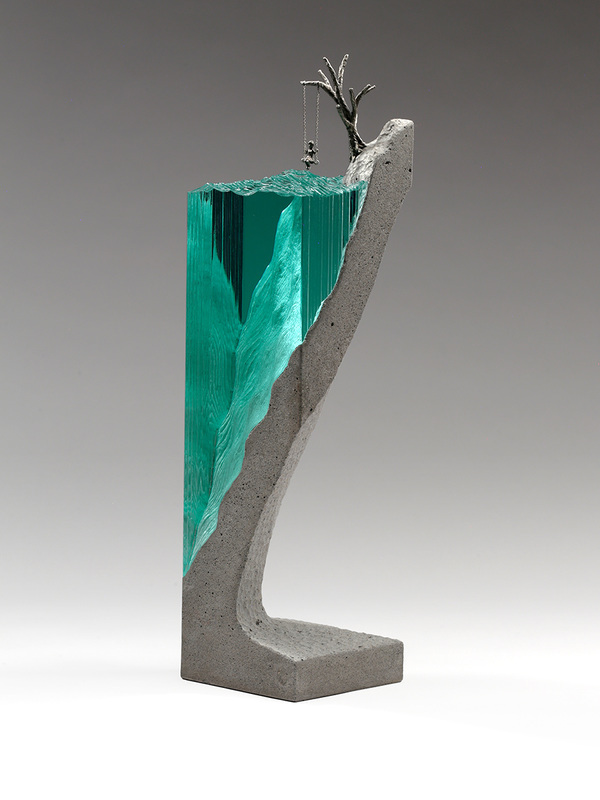 Once complete, light is the final crucial element to bring Young’s sculptures to life. 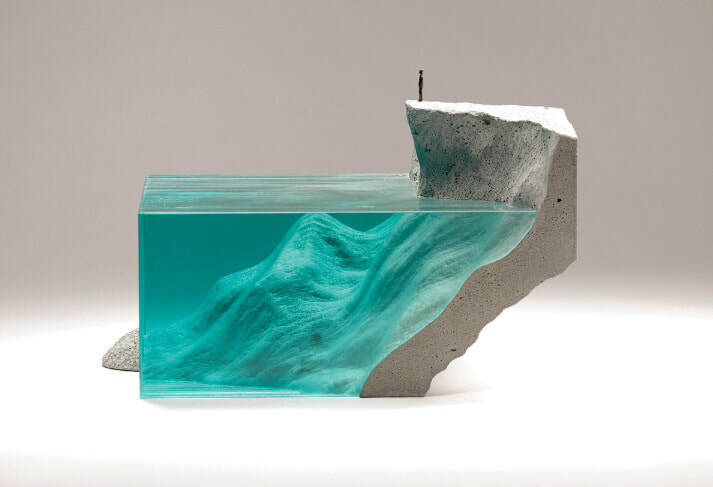 When lit, an illusion of space, movement and depth is created. 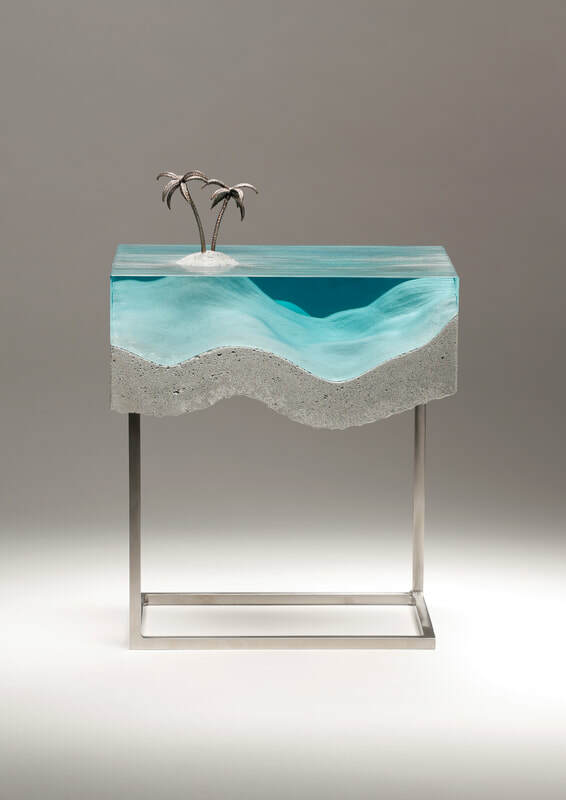 Young favours coastal landscapes with the ocean as a re-occurring motif. 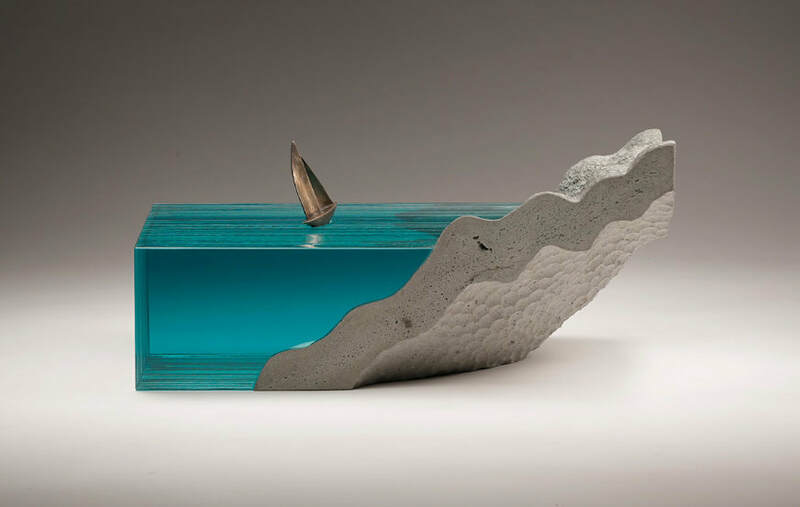 An avid surfer himself, the ocean is where the artist can be found when he is not in the studio. His time spent in nature is integral to his making process. 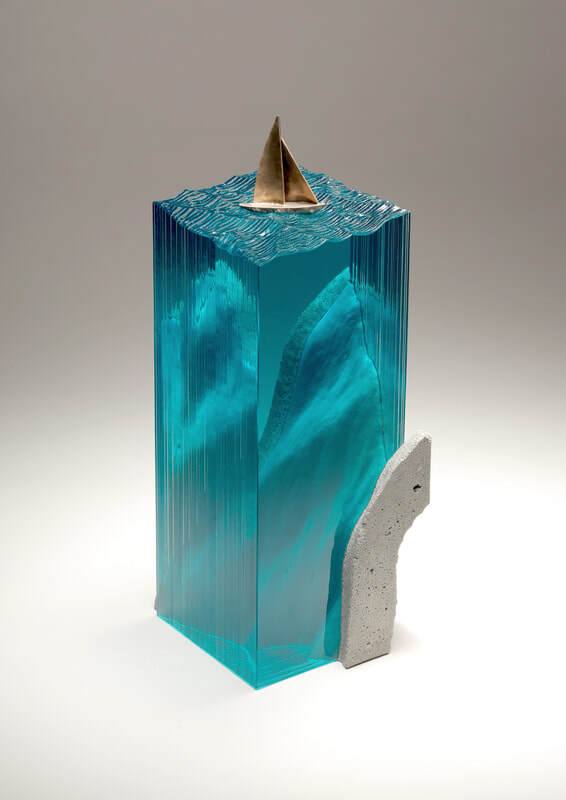 In his work, Young situates figurative elements such as boats, lighthouses, huts and individuals, in order to create a personal entry point for the viewer. 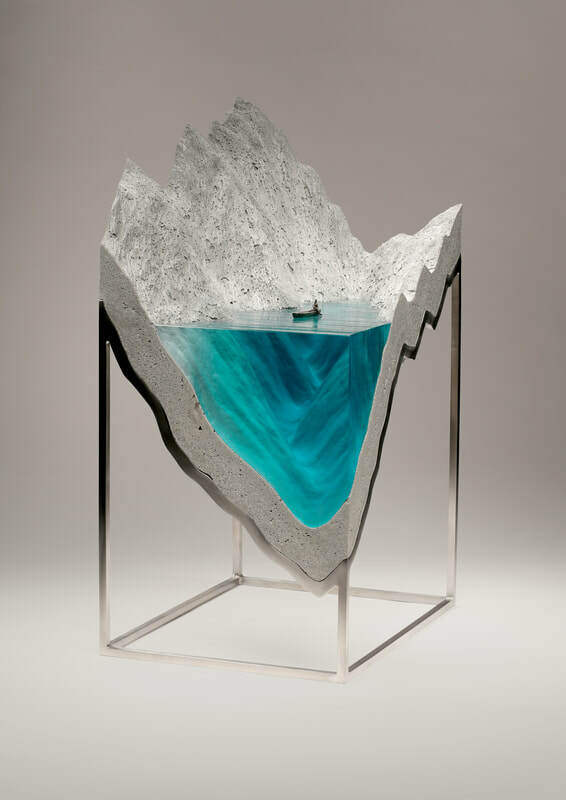 In doing so, a unique narrative is built around each piece that draws on psychological experience- both personal and universal. 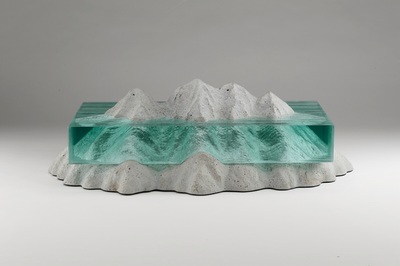 These human presences appear belittled by their surroundings which creates a sense of scale for the landscape. 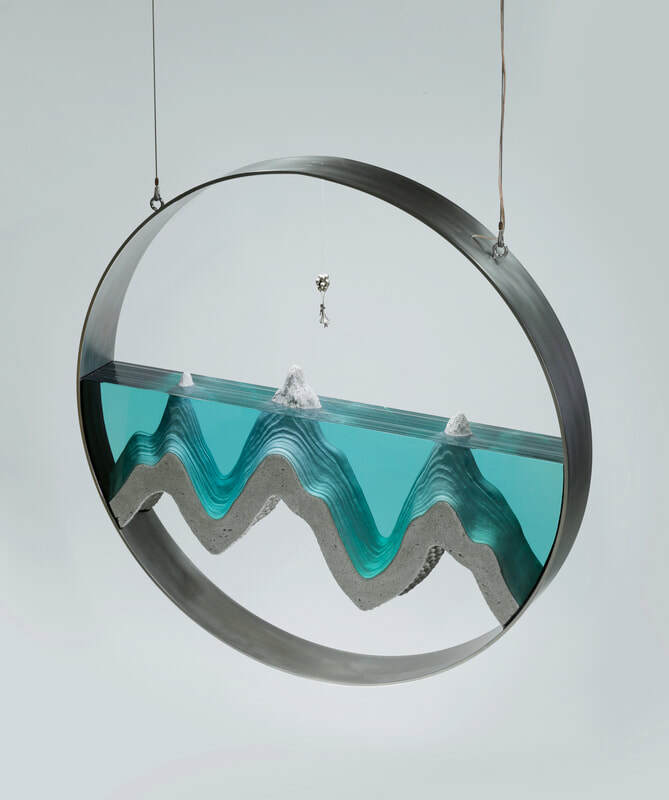 The viewer is invited to imagine inhabiting Young’s worlds, to stand on a cliff facing the wind, or to take a boat to the edge of the bay where it opens to the ocean. 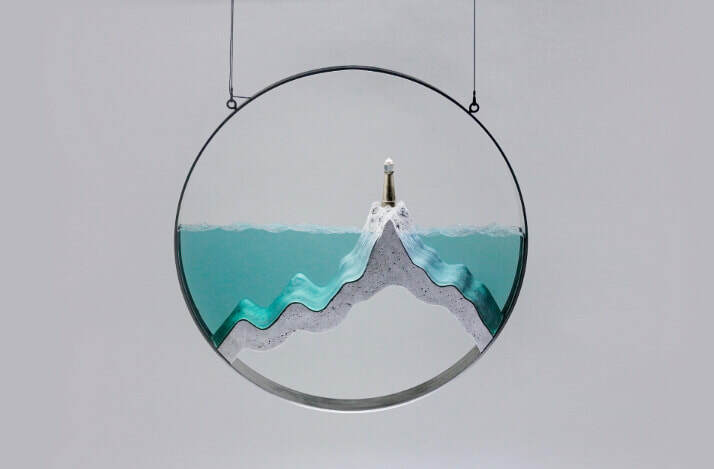 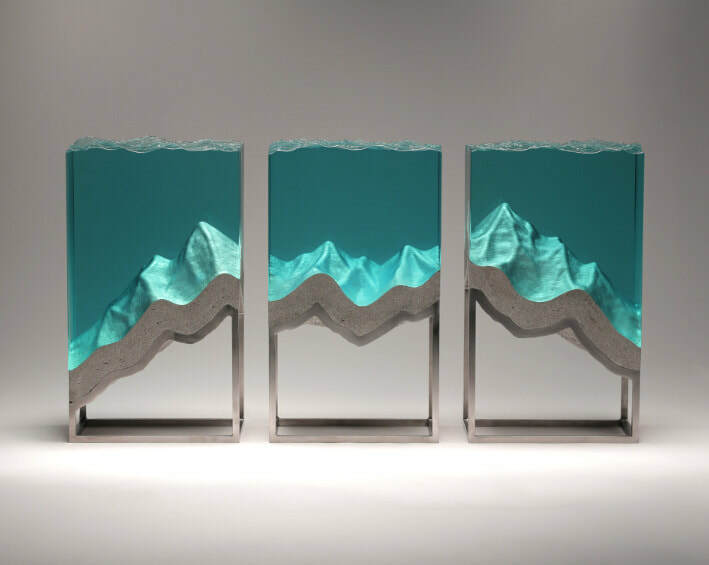 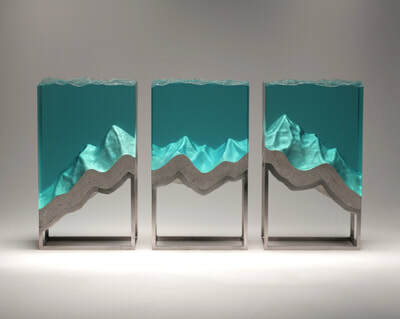 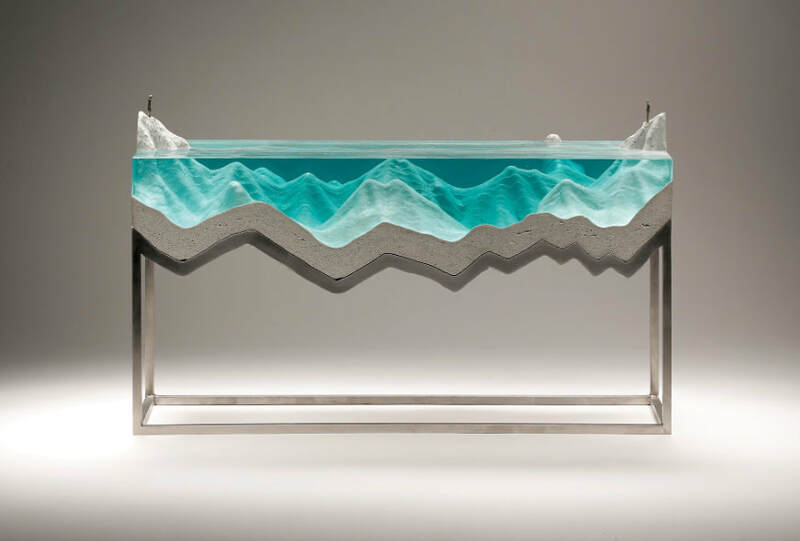 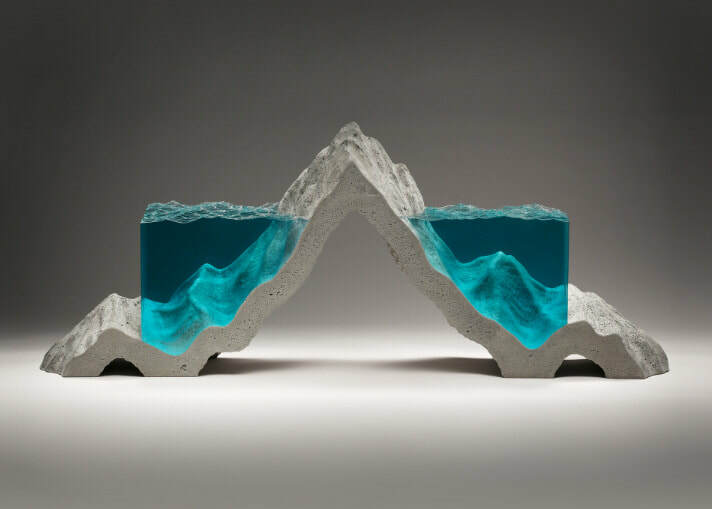 Ben Young is a technically finessed glass artist who creates explorations of the local landscape through evocative glass forms. 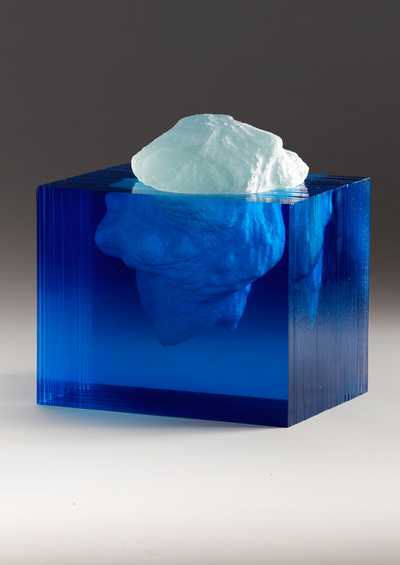 Each work offers a unique tension been industrial materiality and organic subject matter. There are currently no works available by Ben Young for purchase. New works will be available from May, 2019 (approx). 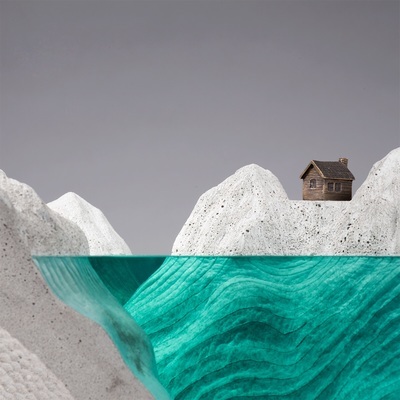 If you would like to be updated on the new works by this artist as they arrive, please send an email to info@blackdoorgallery.co.nz asking to be added to the client list for Ben Young.